Robot Schedule 7 is now available for download. See the following information for details on moving to the latest version and the new features you'll enjoy. Robot Console 6 users can now convert to version 7. 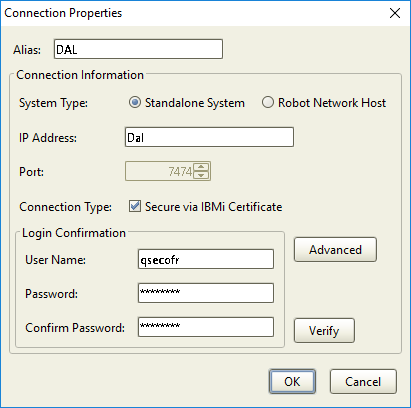 Access the conversion instructions for Robot Console 6 users. 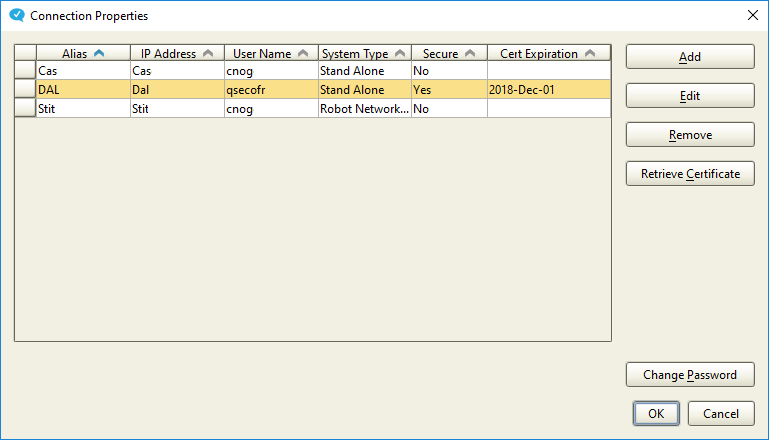 (For Edit of existing connection) Select your system in the Connection Properties list and click the Edit button. (For adding a new connection) Click the Add button. Click Verify to ensure a successful connection.